Mother’s Day is coming up super fast, which means you have, oh, about two weeks left to finish up your shopping. At a loss for ideas? 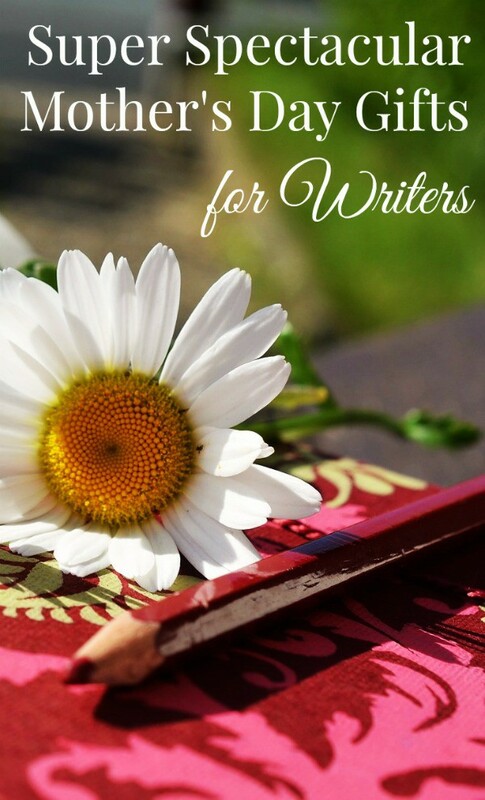 If your mom is the creative type, consider one of these Mother’s Day gifts for writers. As a girl who spends the majority of her life in front of a computer, I can promise you that I would be thrilled to receive any of these fabulous presents! A blank book: There is something so beautiful about a big blank book of pages just waiting to be filled with words. It’s completely irresistible to a writer. Note that I didn’t call this a journal or diary. There’s a reason for that. You need to find out what type of blank book mom wants. Does she actually WANT to write in a journal? I despise free-form journals, where I have to just write my feelings. Too much pressure. 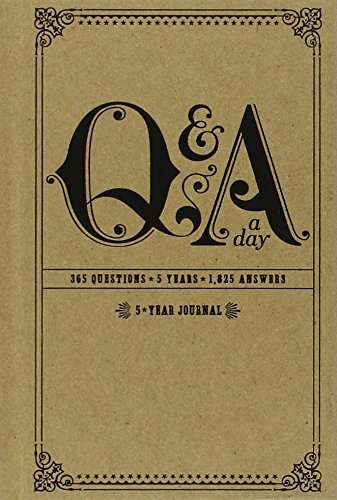 I do, however, love books like the Q&A A Day 5 Year Journal. 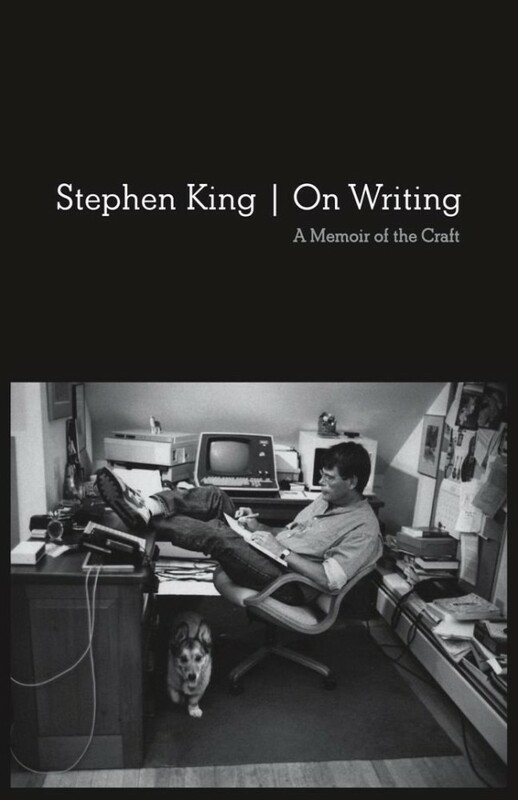 Stephen King’s On Writing: Every writer, even if you’re not a fan of Stephen King, should read this book at some point. I’m not a huge fan (sorry Mr. King, your books are a little long-winded at times and the freaking IT cover ruined my sleep for life), but I have a HUGE amount of respect for the man. This particular book is basically a mixture of his journey to becoming a writer and advice for other writers out there. I adore King’s non-condescending approach. That’s part of WHY I respect him so much. He’s not a jerk. A Beautiful Fairy Tales Collection: Once upon a time, every great story began with “once upon a time.” Whether your an avid reader or a brilliant writer, chances are it began with a favorite fairy tale. They’re the first real stories we often hear and remember as children (Goodnight Moon doesn’t count). Get mom a hardbound collection of fairy tales to remind her of where it all started. 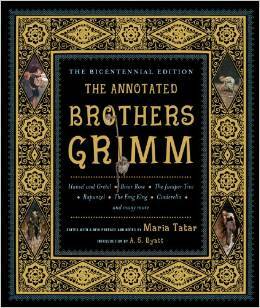 The Annotated Brothers Grimm (The Bicentennial Edition) has over 550 pages and a ton of neat annotated notes. It’s less than $30. Relaxing reads from her favorite authors: All good writers are also readers. Whether it’s for inspiration, to perfect a technique or just to escape, reading is part of a writer’s life. Get mom a new book from one of her favorite authors, then tell her to go lock herself away for an afternoon of getting lost in a new world. 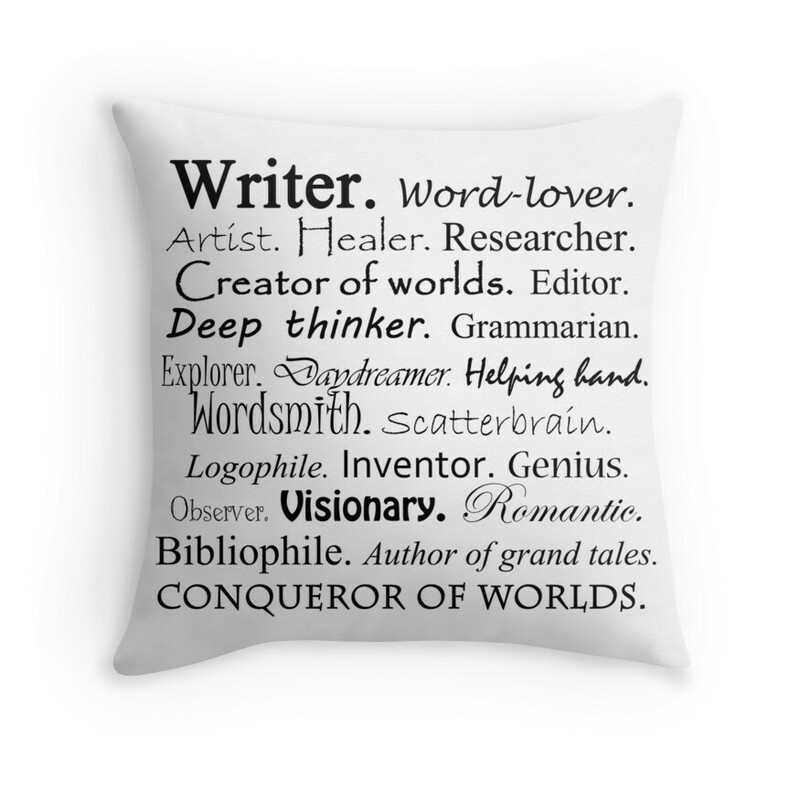 The coolest throw pillow ever: Redbubble (my major obsession) has throw pillows now. I told you that, right? Well, they have this one (above), that is a perfect Mother’s Day gift for writers. I have another one of their throw pillows and the quality is just perfect. You can check out that review here. Non-fiction how-to books. Be super careful here, books on how to write “better” are kind of like the vacuum cleaners of the Mother’s Day gifts for writers. Some moms are totally excited by them. My mom actually WANTS a new vacuum cleaner. Others, not so much. Another thing: everyone has a different opinion on what makes good writing. While basic grammar is still important, the majority of yesteryear’s rules are out the window now that most of us consume info on the net. We’ve been forced to adapt a more conversational tone, making many of the old-school “how-to” books obsolete. You really have to know what type of writer your mom is before you venture into this gift idea. If you’re set on it, go back to the Stephen King suggestion. For more ideas for Mother’s Day, Father’s Day and Teacher Appreciation Day, visit a few of my favorite bloggers. Remember, I’m a writer too, so I speak from experience when I say that these are totally super spectacular Mother’s Day gifts for writers! I know many of you out there are writers too, what’s on YOUR wish list this Mother’s Day? The Brothers Grimm would be perfect! I would really enjoy getting that one!